Choose a more comfortable life with sporty style and slip on ease in the SKECHERS Relven - Renton shoe. 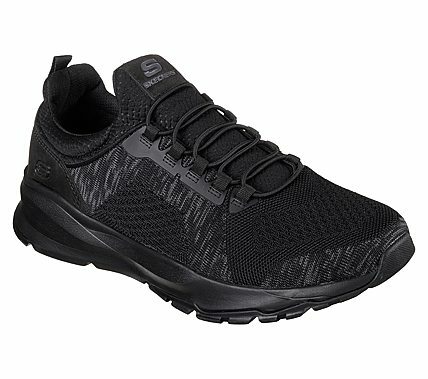 Skech Knit Mesh knit fabric and smooth synthetic upper in a slip on bungee laced sporty casual comfort sneaker with stitching and overlay accents. Air Cooled Memory Foam insole.